An official 975Kemet event music provided by KD Infinity and Ghetto Jam. Trojan Records and Studio 1 labels have continually led the way in presenting the very best in classic Jamaican music to fans the world over, enjoying no less than 36 major UK hits between 1969 and 1975 and in so doing introducing the likes of Susan Codagon and many others to a global audience. Susan Codagon as the first lady of Trojan records was at the forefront of this movement. 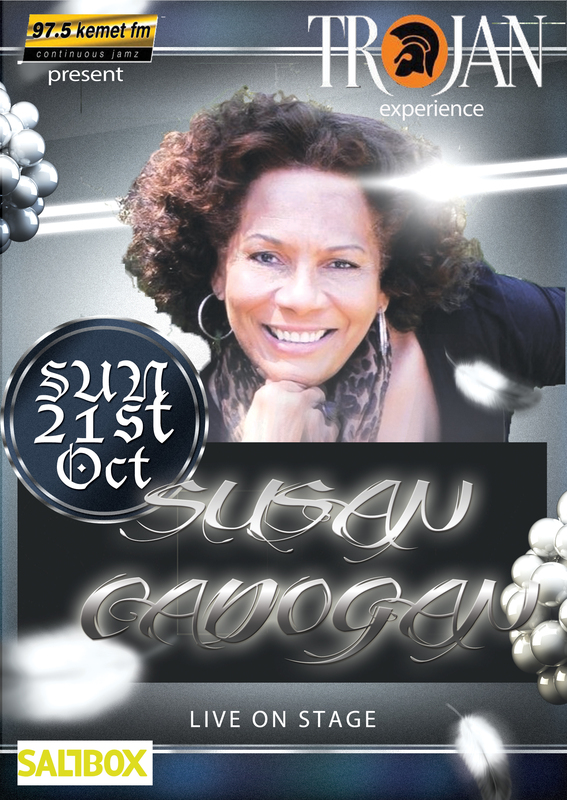 Susan Codagon and Friends comes to Nottingham backed by the Realistic band.. The Showcase of 70’s and 80’s reggae music encapsulates the talents of Winston ‘Dim the lights’ Reedy, Paul ‘‘Natural Woman’ Dawkins, Winston ‘Mr Fixit’ Francis, Ann and Sonia ‘from my heart’ all hosted by Pete ‘shaving cream’ Campbell. Everybody attending the show will receive good vibes, great music that features some of the Biggest hits in the history of reggae. Come join us for a truly unique celebration of the world’s best-loved and most iconic music genre and all its fantastic musical legacy, presented to you by 975 kemet FMl.